Emily Minton-Redfield of EMR Photography for TKP Architects pc. Tiny homes are gaining traction as more homeowners are deciding that living with less means living more. Natural stone has become a popular building material for these homes. Karen Keating, AIA, ASID, president and architect with TKP Architects pc, in Golden, Colorado, began noticing the interest in smaller homes right after 9/11 and saw the trend pick up steam when the recession hit. Her well-heeled clientele, accustomed to building properties with top-of-the-line materials and accouterments, want nothing less for their tiny homes. 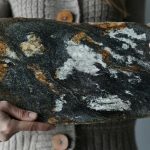 Many homeowners who choose natural stone for the exterior of their tiny homes are doing so for its durability, timeless look, and because it’s a long-lasting material, according to Bridget O’Brien, director of marketing with custom architectural design firm Archer & Buchanan in Chester County, Pennsylvania. “We started seeing a reaction against overbuilding mega-mansions and having more space than you need,” says Keating. At the same time, magazines and television shows that extol a simple lifestyle became popular, promoting the fact that excess stuff interferes with our ability to live well. People are attracted to very small houses for those reasons, according to Keating. 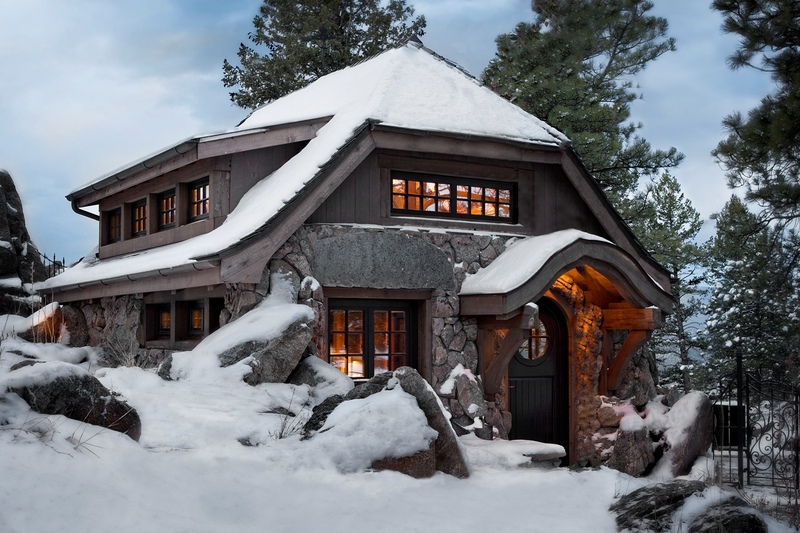 Keating’s firm was commissioned to remodel an existing structure into a tiny home in the form of a cottage just steps away from the couple’s main residence in Colorado. Part guest house and part jewelry studio, “The Cottage” is designed for efficiency and flexibility. 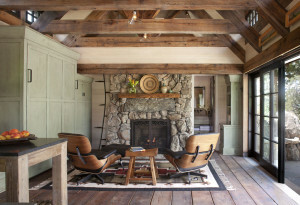 The owners wanted their cottage to feel as it had existed for 100 years. Summer homes for Denver’s early elite families, such as the Boettcher Mansion, and rough stone the homeowners had seen on National Parks’ buildings while on a bicycle trip inspired the simple, rustic design. Lichen-covered boulders were used as the stone veneer so that the cottage seems to emerge from the site’s craggy rock outcrops. Inside, numerous reclaimed materials were used throughout the construction and a small bath is behind a stone fireplace. 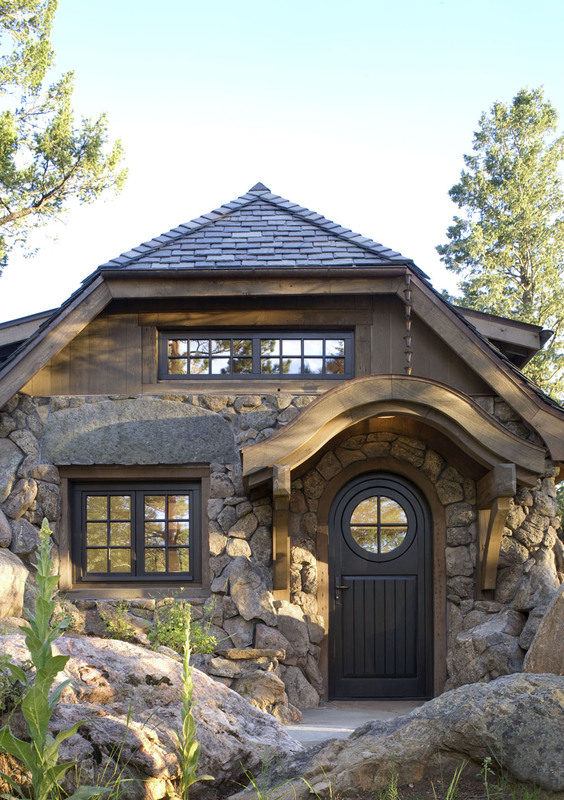 Natural stone is popular for tiny homes for the same reason it is popular for other building and remodeling projects—it is durable, attractive, and ages gracefully. Natural stone gains a beautiful patina over time, unlike manmade materials. Many clients also like the fact that stone withstands the test of time. In other cases, a natural stone exterior is very much part of the aesthetic design. When a Chester County couple asked Archer & Buchanan to build a Lord of the Rings-inspired Hobbit House to house the husband’s overflowing Tolkien collection near their property, O’Brien says the couple wanted to incorporate an existing 18th-century stacked stone wall as part of the structure. The stonework throughout the exterior house was an important component, as the Archer & Buchanan team needed to make sure it not only mimicked the look of Tolkien’s Hobbit House but also maintained the integrity of the grounds. The resulting 600-square-feet Hobbit House not only looks beautiful, it’s built to last. “It’s often more expensive [to use natural stone] but long-term, when applied and built correctly, it will last much longer than a lot of manmade materials,” notes O’Brien. Cost is probably the biggest disadvantage when building a tiny home or cottage using natural stone. 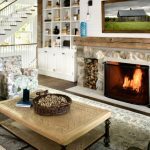 It’s a factor most homeowners don’t consider, since they often think a small home would be less expensive to build because there are fewer raw materials. Keating admits that many clients who want to build tiny houses choose to build tiny because they can afford it. “These are gemstone kinds of projects,” she says. Our experts agree that even more important than choosing the type of natural stone to add to a structure’s exterior is choosing the right mason. According to Keating, the mason who worked on the Cottage was not only seasoned but an artist with an eye for how every stone should look on the building. O’Brien agrees that finding the right mason is just as important as the overall build. Her firm prefers to work in tandem with the builder, homeowner, and the person or company providing the stone for the project because they want to make sure the mason has the right skill given the size and scope of the project. 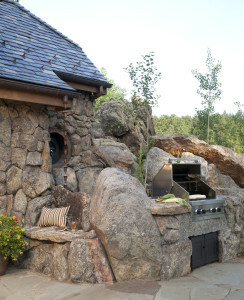 Homeowners using natural stone for their tiny homes are doing so for a variety of reasons. It helps that it’s becoming easier than ever to find architects and builders to use this timeless and long-lasting material and enjoy it for years to come.